It’s easy to lose sight or misstep when it comes to the fundamentals that lead to business success, whether a large or small business, but especially for small business. The loss of even a few customers can lead to trouble, even serious trouble. 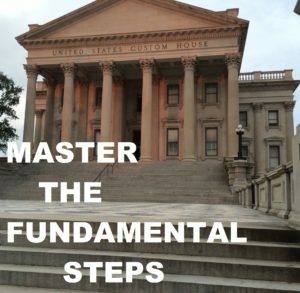 To combat the numerous challenges that affect business every day, it’s critical to have a mastery of the fundamentals to serve as the foundation for your business success. In my last post I identified several critical foundational steps, including the most important, which is to attract, hire and develop the best talent by way of a Strategic Human Resources Management platform. I think it’s fair to say the primary focus for every business is to get and keep a customer. Having a hospitality climate and culture driven by an engaged team of talent has proven to be the ultimate way to get and keep customers. Hospitality refers more to how your services are presented to your customers, meeting customer expectations, and delivering a great “customer experience,” rather than the services themselves. Arguably, the next focus is to increase sales and control costs. Again, an engaged, talented team is the best way to achieve these objectives. It begins with high performance managers who are focused on both, team member engagement and high performance team outcome. To put a sharper point on this area is what I call managing by the numbers, or performance based management. It’s important that business owners hold themselves and their team accountable for team accountable for high level performance to increase sales, and control costs. Other foundational steps include consistency, value proposition, quality, appearance, and on-time delivery. Consistency confirms your business purpose, develops your reputation, and maintains your messages to both your customers and team members externally. Internally, consistency provides a means of measurement and accountability—what gets measured gets done! Customers determine value by what they pay for a service or product vs what they receive in return. “It,” whatever “it” is, is the primary reason customers choose to do business with you. “It” usually involves solving a problem, creating a benefit, providing a service, or a combination of these. Customers don’t just want quality, they expect it, and if they don’t receive it they will quickly look elsewhere for alternatives. Quality is a critical step for customer satisfaction and retention, and it can define your company’s reputation. Your company’s image is often established by it’s appearance, and appearance is most often how customers develop their first impression (and usually lasting impression) of you and your business. You’ve heard the expression, you don’t get a second chance to make a good first impression. Having a pleasing and professional appearance is essential including how you dress, cleanliness of your suit or uniform, cleanliness or appearance of your store, vehicle, equipment, etc especially if said items adorn a company or corporate logo. Finally, have you met your obligation in delivering your service or product to your customer by the agreed upon time? Have you been a customer in need a suit for an out of town trip, but the cleaners didn’t have it ready? Have you taken time off from work to meet the cable guy, plumber, electrician, or exterminator, and they were late or didn’t show? This breakdown in service can cost you customers, so it’s imperative that you deliver on time-every time. Once you have a foundation of the fundamentals securely in place, then your foundation becomes your launching pad for prosperity. Integrating these steps into a purpose driven system will insure you arrive at prosperity faster, and stay there longer. Having a foundation of fundamentals in place will then allow you to take deliberate, progressive steps toward growing and sustaining your business for the future.